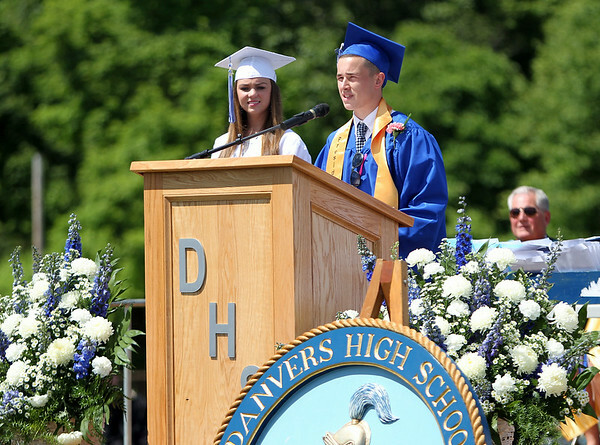 Danvers High School senior class Vice-President Kevin Hodgkins thanks his classmates as part of his portion of the Class Officers' speech "Words to Graduate By" during graduation on Saturday afternoon. DAVID LE/Staff photo. 6/7/14.